I didn’t want to believe the hype around The Last of Us when the perfect scores started to come in from the critics. When I finally got my copy of this game and played through that first opening scene, I knew it was going to live up to the hype. Naughty Dog, the acclaimed studio behind the Uncharted series, is at the helm of this one. They flip the script from the comedic adventurous tones of Uncharted to the life or death situations in The Last of Us. 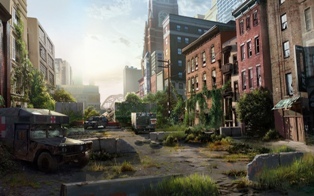 The game follows the story of Joel, voiced by Troy Baker, and Ellie, voiced by Ashley Johnson across a post-apocalyptic and infected filled United States. This story has been rehashed and overused for the umpteenth time by now, and I can honestly say this game belongs in the top 5 of those and maybe even top 3 once I play through it again. For starters, they based this fungal viral outbreak to a real world virus that infects ants and other insects. The fancy name is Ophiocordyceps Unilateralis; in game the infected are collectively known as Cordyceps. In real life the virus takes control of the insect’s brain and tells them to die so that the fungus can take over and spread its spores through the corpse of its victim. Obviously for the games sake, they come up with a way for it to affect humans at various stages that are all equally terifying. 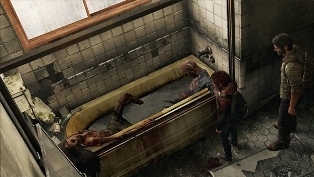 Throughout the game, it really isn’t about Joel and Ellie vs. the Cordyceps (although those parts are some of the more tense sections); it’s more about how Joel and Ellie’s relationship develops and the struggles they face against other survivors. The main story picks up 20 years after the initial outbreak. Joel was there from the start and has memories of the old world. Meanwhile, Ellie is only 14 so she was born into this madness and has no idea what life was like before. The story is fresh and is an emotional ride from start to finish. As the player, I got so engrossed with Joel and Ellie that I was justifying all my actions whether right or wrong. This is where Naughty Dog hits a high point for me; Joel is not the hero. He even admits it to Ellie at one point when he mentions that he’s been the type of person that kills and the type of person that he just killed. In the world that is presented, how can there be any heroes? Everyone’s just trying to do what they can to survive by any means necessary. There’s no such thing as faith or trust when you come across a group of strangers who could very well mean to kill you. By the end of the game, players are left to contemplate what they would have done throughout. Would you have been as brutal as Joel? 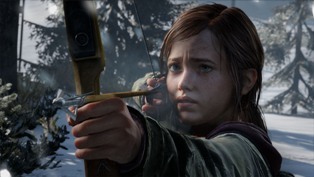 Would you grow up with a warrior mentality like Ellie or crumble beneath it? These smart and methodical points throughout the adventure are what truly make this game. There’s only you and your need for survival. Ammo and supplies are realistically scarce throughout the world; and that was just playing on normal! Naughty Dog has done a near perfect job of making sure you make each shot count. The gameplay in this is exceptionally well done. While it controls mostly like Uncharted, there are simple refinements that make it more precise. Joel’s movements are more deliberate and you have to watch where you step at times in order to sneak around soldiers, hunters, or infected. Whereas in Uncharted Nathan was running and gunning like no tomorrow with an endless supply of ammo. You never get that feeling in The Last of Us. It takes minutes to even kill one guy because you want to make sure no one else can see or hear his screams. When you stealth kill someone or melee kill them, it’s a little thing I found satisfying. The animation for them shows the ‘it’s you or me’ mentality. 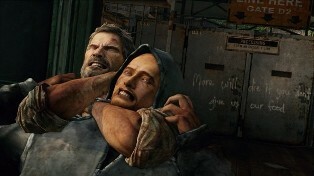 In other games, the character could be outside of the violence and be unaffected. For Joel and Ellie you can see and feel all the actions they take wear on them. As for the other parts of the gameplay, there’s no pause menu to look at maps or heal yourself. It’s all real-time and the player better make sure there’s nothing nearby while you craft or read notes. Then throughout the game you can gather supplies to upgrade stats for your weapons. The A.I. that you come across, and Ellie herself, can sometimes be annoying when they get in the way of where you want to move. One other thing I noticed also was that they aren’t noticed by enemy NPC as easily as you’re spotted. This doesn’t detract too much from the feel because you’re so focused on surviving yourself. Another little thing I noticed was that when Joel and Ellie are crouching and are leaning against a wall or something, Joel huddles over Ellie in a protective stance; it’s little details like this that make it a perfect game for me. As for the scenery, music, and collectibles they are all perfectly done. The cities of Boston, Pittsburgh, and beyond are all beautifully done that you could pull them off screen and frame them as art. 20 years after the initial outbreak and all the chaos, nature has taken over the cities. Grass growing through the cracks and houses and buildings falling apart. In all the buildings that you scour for supplies in, none of them are modeled the same in layout or looks. This attention to detail again separates Naughty Dog as the top developer of recent years. Then the concept art that you can unlock after the game gives great insight into how this game was developed. 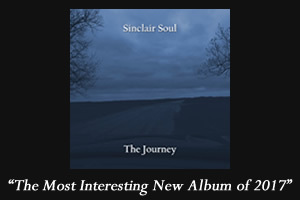 As for the music, it’s nothing too overpowering for the situation. It’s all subtle and dramatic tones that most probably won’t even notice right away. They just contribute to the situation at such a deep level that players won’t realize that the music is why they feel tense. Meanwhile, the collectibles are a nice little sidetrack from the story. While it isn’t necessary to collect them all, they do provide some nice background information that they don’t tell you in the main story. There’s also a multiplayer feature, but I haven’t really played it to fully expand my thoughts about it; but for the price we pay, the single player is more than enough. I could probably ramble on about The Last of Us for another page or so, but at that point I don’t think it would make any sense. If you’re a PS3 owner, you need this game. If you’re into games in general, you need to find out how to experience this; whether it’s borrowing it from a friend or just watching someone play it. It’s an immersive experience that shouldn’t be missed and is probably one of the last great games on the current generation of consoles. I may even go so far as to say it’s in my top 5 games ever. We shall see if it can stand up to playing it multiple times and over the course of time. For right now, The Last of Us is a masterpiece that deserves every accolade it has and will receive. I honestly couldn’t agree any more with this review!